Tallgrass Art School is pleased to announce classes for November featuring nationally known artists as teachers. On November 12, Tallgrass Art Gallery and art school owner, Bruce Carter will present an evening class on block printing at the school. This class will focus on producing a block for printing Christmas cards as well as printing the cards themselves. Students will enjoy this easy and fun printing project. At the end of the evening, students may take their finished blocks and cards home to print even more or explore other printing. 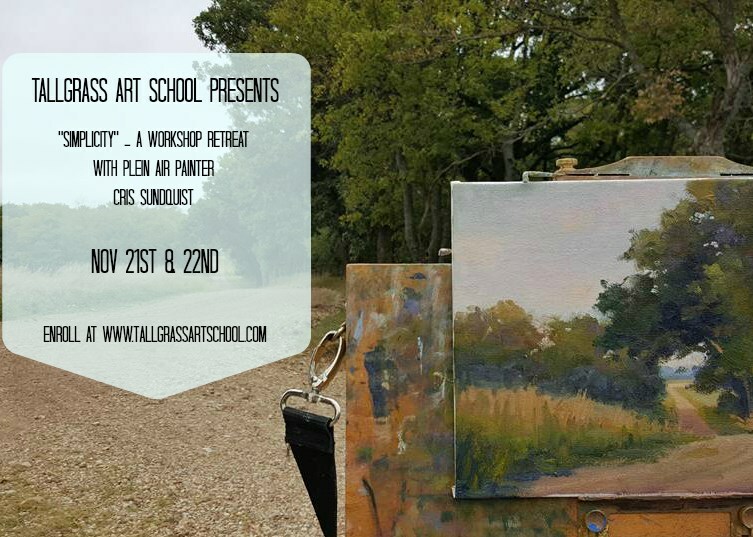 The class will be held at Tallgrass Art School at 521 Kihekah Ave., in Pawhuska at 7 p.m.
Plein air is a French expression referring to the act of painting outdoors with the artist’s subject in plain view. Our resident plein air painter, Cris Sundquist, will hold a workshop/retreat Nov. 21 and 22, at our downtown Pawhuska location. Cris’s work is featured in Tallgrass Gallery and other galleries in the Midwest and has been shown at venues in Oklahoma in Kansas. Her style is free and simple with dramatic results. This workshop will focus on simplification in the development of a work as well as the process of producing plein air pieces. Cris will work from a sketch and work with the class on the production of a finished piece. Supply lists for the class are available. More information is available at the schools website, www.tallgrassartrschool.com. This class is available on a first come first serve basis as either a weekend retreat including lodging and classes, or classes only. As with all our workshops at Tallgrass Art School, attending this workshop includes the opportunity to experience our local cowboy culture, Native American Culture and the beauty of the Tallgrass Prairie.